On Saturday night, Jaede and I decided to make dinner at the house – – just like old times! After we got out of college, I loved having my girls over for dinner. We’d also eaten crap the days previous (i.e. high-altitude donuts, dessert with dinner, etc) So, I instantly thought of this dish because it’s a healthy option and oh-so-tasty! 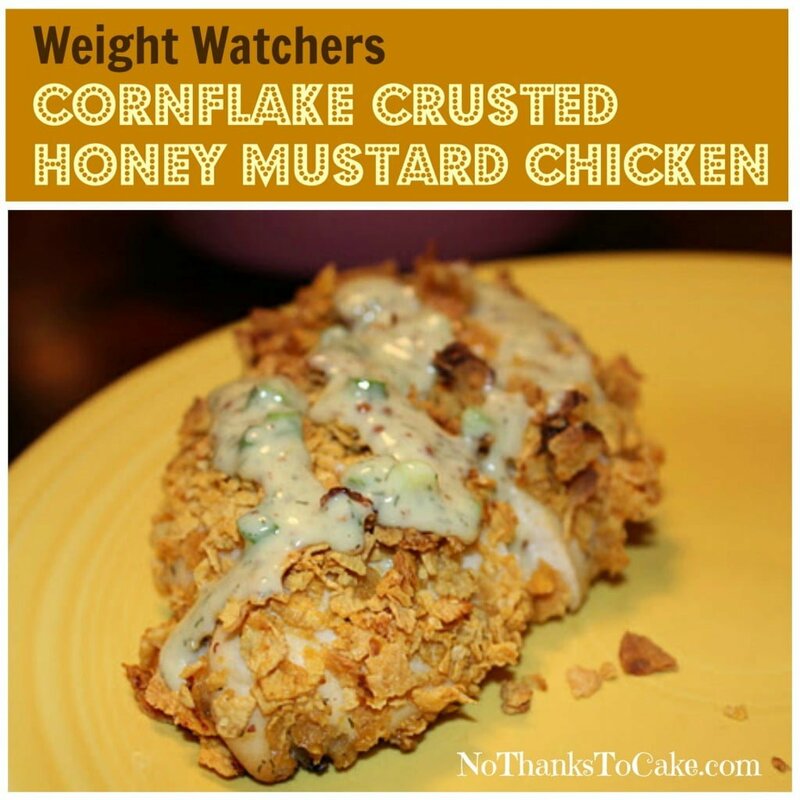 Weight Watchers always has great low calorie recipes, and this was one that I tried last year and had been craving! We paired this yummy, crunchy chicken with a tasty salad with the Red Wine Tomato Vinaigrette I love. I even made some roasted broccoli, cauliflower, and carrots. Amazing dinner, to say the least! Note: Unfortunately, I didn’t do the play by play with my camera, but you can see by the final shot how gorgeous this chicken is. I definitely recommend trying this chicken. You won’t be sorry. 1. Preheat oven to 425°F. Coat a shallow pan with cooking spray. 2. In a small bowl, combine honey mustard dressing, salt, pepper, dill and scallions; remove 1/3 cup and set aside. 3. Place cornflake crumbs in a shallow bowl. 4. Dip chicken into dressing mixture and then cornflake crumbs; place in prepared pan. 5. Bake until chicken is golden and no longer pink in center, about 15 minutes. 6. Drizzle remaining dressing mixture (the 1/3 cup that was set aside) over chicken breasts and serve. Yields 1 piece of chicken and about 1 1/3 tablespoons of dressing per serving. Previous Post: « Do-Over Day One + A Super Snack!